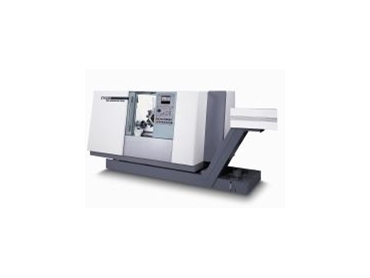 Gildemeister CTX 410 on display. AFFORDABLE entry-level solutions in the power tool arena will be introduced to visitors by DMG Australia , at Austech 2004. The company's range of products provide high speed and accuracy for multi axes machining, linear drives, lasering and ultrasonic machining. DMG's reputation for incorporating advanced technology is strengthened with features including status reports, DMG Messenger via email or SMS, and online DMG Netservice. DMG Australia will exhibit cost-effective packages which include the above product options, along with installation and training. A highlight will be live demonstrations of DMG power tools with internet-driven service assistance, spare part ordering and training. The company will also exhibit the DMC 64V linear and CTX 410VI, both available in package options. Stand F40.